Mark’s Republished Book – Back By Popular Demand! The Sales Diamond is a re-release of the former title, The Salesman’s Prophecy. It’s a fresh, present-day answer to the urgent need for an easy-to-use guide on landing sales for any salesperson, in any industry. 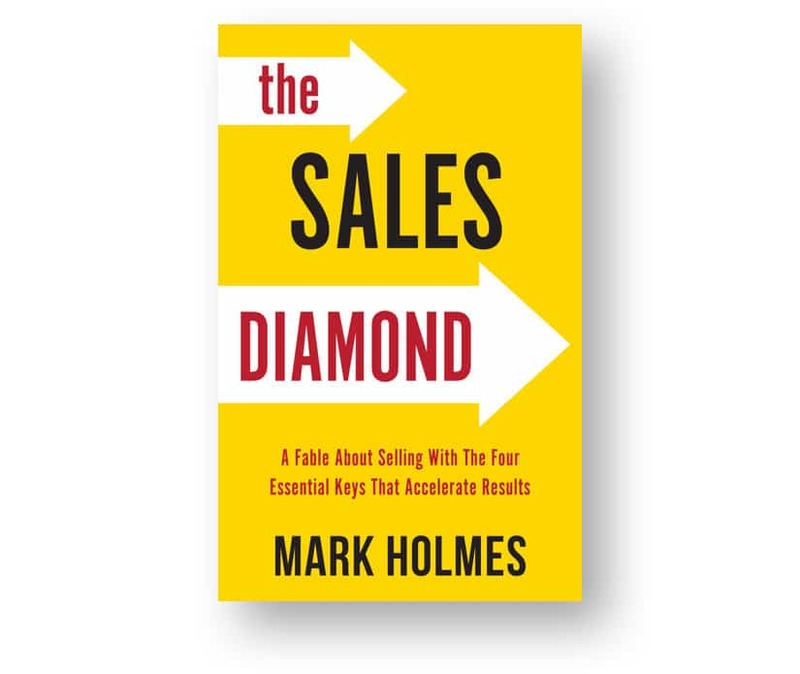 The Sales Diamond tells the fundamentals of selling through the metaphor of a baseball diamond where progressing around the bases is like advancing through a series of sales steps. Salespeople will appreciate its entertaining, relatable story and four key insights. There’s no skipping first base in baseball or in selling. Getting to first base covers investing sufficient time in discovering the customer’s issues and what they care about. Information alone won’t move customers to buy; convincing beliefs from the salesperson are necessary, too. Second base involves a salesperson’s attitude and commitment. Customers don’t want another boring, self-serving sales pitch, but what they do want is a highly relevant conversation that focuses on their needs. Getting to third base presents ways to ask strategic questions and adapt one’s value to the customer’s issues to win sales. A salesperson has to put aside rejection and focus on the next sale. Home plate involves pursuing opportunity persistently and closing effectively. Ideally Suited For: Newer sales reps wanting fundamentals they can easily grasp and use; experienced salespeople wanting fresh insights and reminders to close sales; sales trainers or sales managers looking for a book to enhance meetings with the salesforce.